A man, a woman and a child remain in hospital following the two vehicle collision and are being treated for injuries which are described as serious. Sinn Fein MLA John O’Dowd passed on his deepest sympathies and said: "As a father of young children myself my thoughts and prayers go out to the young boy’s parents and family. "This terrible accident has also left several other people seriously injured and they too are in our thoughts and prayers. Armagh, Banbridge and Craigavon Council Lord Mayor Julie Flagerty said: “ For me...there are no words or silly emoji things that would express the horror...absolute horror that this family are facing. 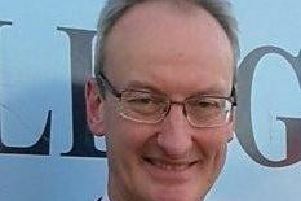 Ulster Unionist Councillor Glenn Barr extended his heart-felt sympathy with those involved: “My thoughts and prayers are with the family today. Any accident on our roads is one too many, however there does seem to be a reoccurrence of accidents on the Castlewellan road; Some fatally. “There are many accident hotspots on the Castlewellan road that I have been lobbying for road safety measures to be put in place, but every time Tranpsort NI respond stating that this does not fall within current policies or guidelines. Ulster Unionist MLA Doug Beattie said the news was ‘devastating’ and added: This is not the first time there have been fatalities through a road traffic collision on this road out of Banbridge in recent weeks. Although the circumstances of the crash are not yet known the issue of vehicles speeding along the Castellwellan and Aughnacloy road has long been a problem. “It is difficult to see how any family will be able to recover from the loss of their prescious child but in these circumstances it is just heartbreaking to mourn the loss of someone so young.